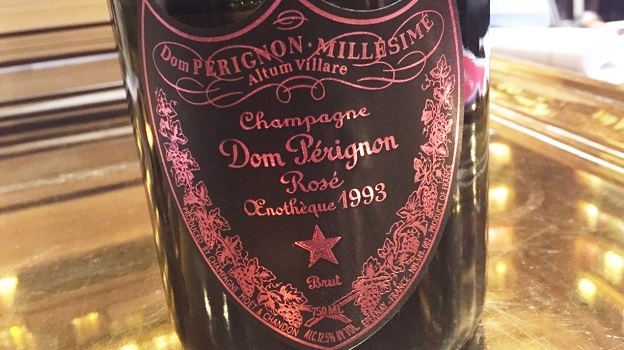 Dom Pérignon’s 1993 Oenothèque Rosé is absolutely exquisite. Soaring in its aromatics and racy on the palate, the 1993 confirms all the promise it showed when I first tasted it. There is an exuberance, a raciness to the 1993 that is hard to describe with words. Remarkably deep for a 23 year-old Champagne, the 1993 will continue to drink well for another two decades or more. Today, it is in the sweet spot, with a stunning interplay of mature aromas and flavors backed up by the structure to go the distance. After a long, intense week of work, everything stops for a few minutes as we contemplate the beauty of 1993 Oenothèque Rosé. Disgorged 2011. 96/Drink 2016-2036.